On Tuesday’s show, we have great guests, including our State Senator Kathleen Passidomo. We discuss the issues driving voter turnout, especially in Southwest Florida, leading up to the mid-term elections. 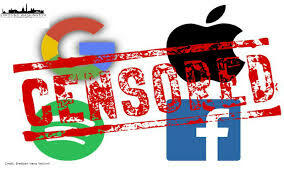 Founder and President of Less Government Seton Motley and I discuss his latest column, “Big Tech’s Lying Two-Step – to Defend Their Censorship of Conservatives.” We also visit with Boo Mortenson.